Founded in 1972, Persimmon is one of the UK's largest and most successful house builders. The group has national coverage, across a network of 28 regional businesses. Our first Persimmon project was in the year 2000! 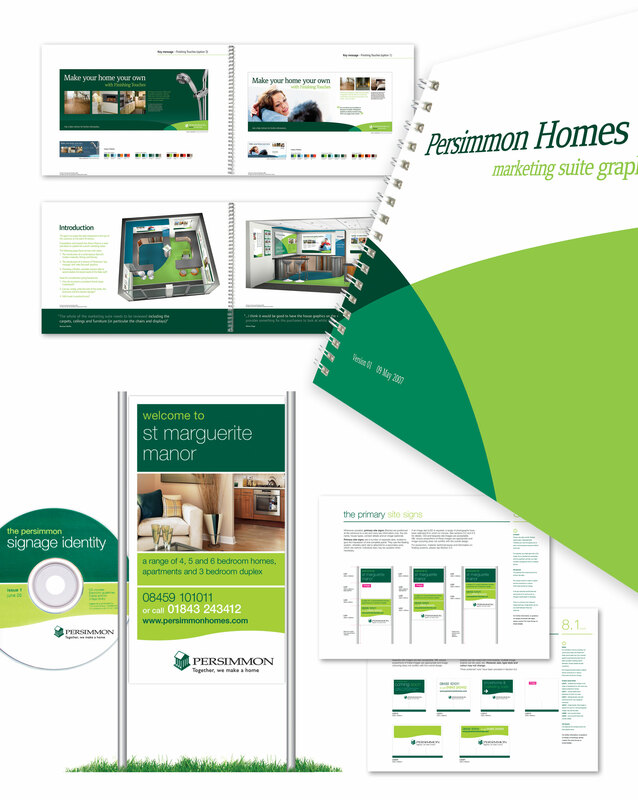 So, with projects such as the national site signage identity, marketing suite identity and finishing touches, through to individual development branding and brochure production, we’ve helped Persimmon and Charles Church sell thousands of homes across the country. 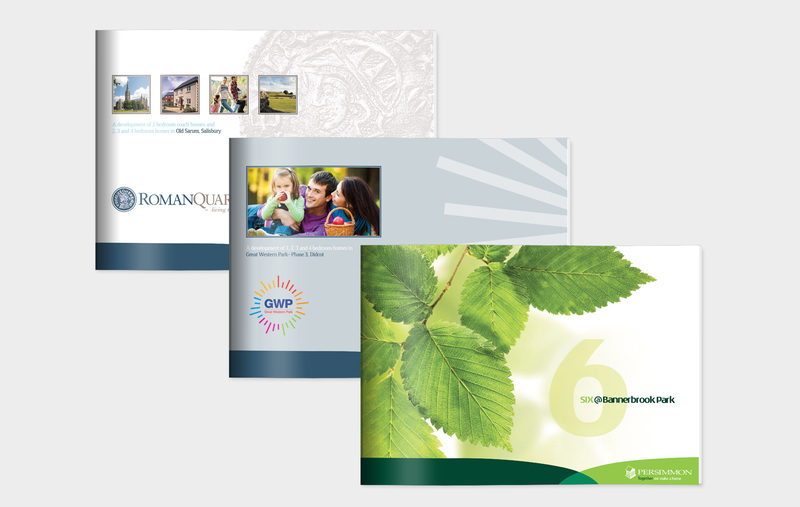 Working with 6 regions on a regular basis, we created a pricing matrix for brochure production, to ensure transparency of costs and the smooth running of projects. 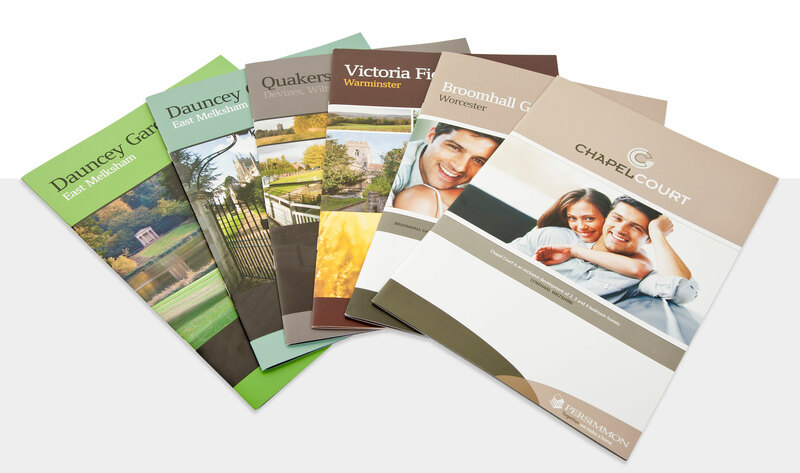 Our procedures and working practices helped to reduce the involvement of regional sales directors in brochure production, reducing the cost of ‘standard' brochures, year on year. All down to the quality of our design, account management and production processes. Persimmon Essex were keen to give this Brentwood development a unique identity and wanted literature to reflect its distinctive nature. With the opportunity to work outside of the corporate guidelines, we created an identity suitable for this high-end scheme. With apartments and houses launched separately, we designed a luxurious carrier brochure, which reflected the quality of the development and two additional brochures for apartments and houses. Bannerbrook presented another opportunity to work outside of the corporate guidelines, to create an identity to reflect this inspiring, multi-phase development in the Midlands. 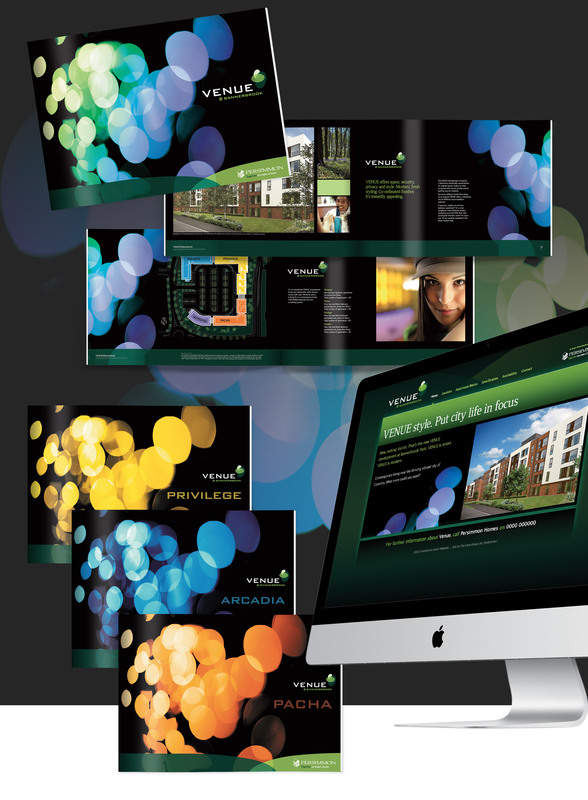 The identity has been rolled out across all marketing collateral to underline the exclusivity of the development. We were briefed to create a new identity, update sales and promotional literature and develop a presentation pack for their 'extras package', ‘Finishing Touches', to encourage the purchase of non-standard items and appliances throughout the home. Having struggled for a number of years to maintain signage consistency across the UK, the Persimmon board commissioned us to address the problem. Developing a brief and ideas for implementation. There was no brief, as such. They ‘felt we knew them well enough’. So, we instigated and undertook research as part of the project, canvassing responses from a selection of 10 regional directors. 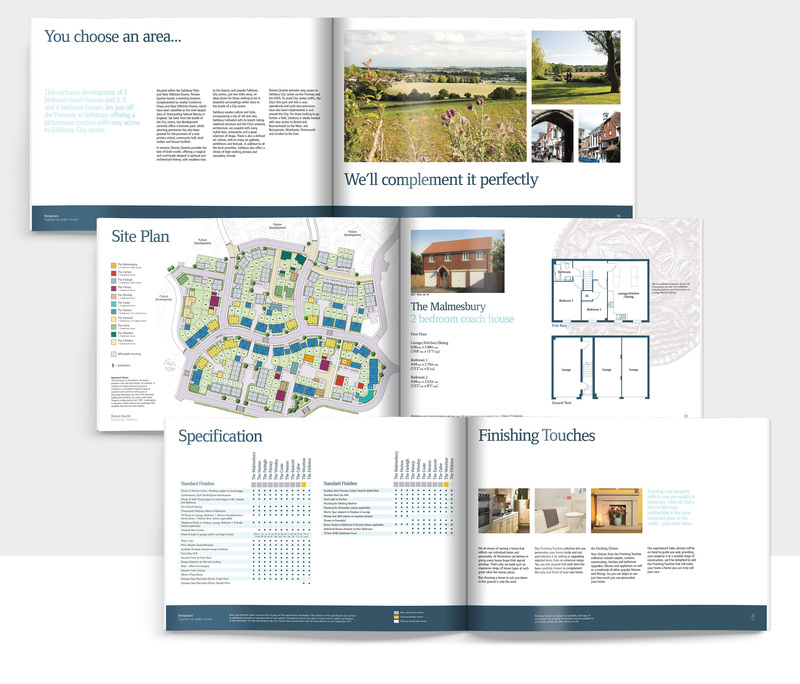 A questionnaire was completed about their existing branding, the competition, the market and what they felt was required to give them flexibility across all developments. The responses allowed us to develop a coherent brief and develop ideas that answered their issues directly. We designed a flexible, modern and scalable solution that was approved by the Persimmon Board without amendment. 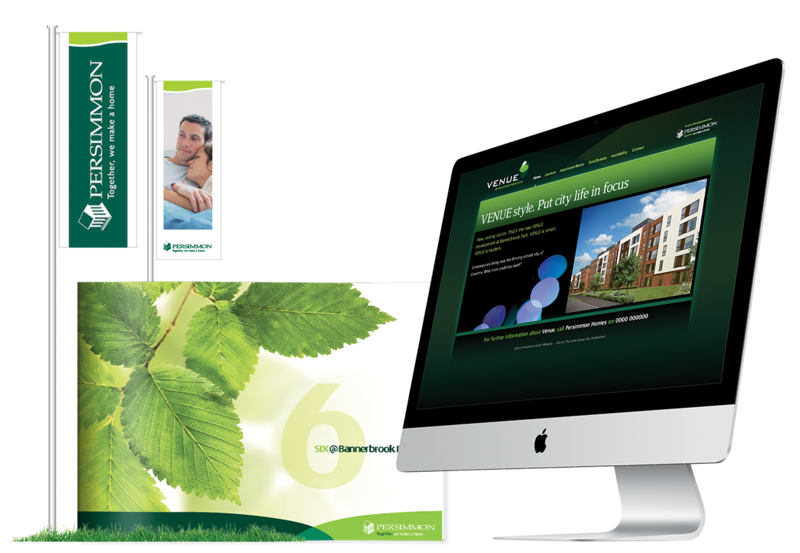 The identity was fully developed and rolled out UK-wide in just 7 weeks. As regions run as autonomous businesses, there can be a negative view of some initiatives instigated at Board level. But every region embraced the new identity and found the provision of digital artwork and full material specifications saved them considerable time and effort, when procuring site signage from their regional sign suppliers. Average sales rose by 220% in less than 18 months after launch of Finishing Touches. Our signage designs are still being used across the UK today. 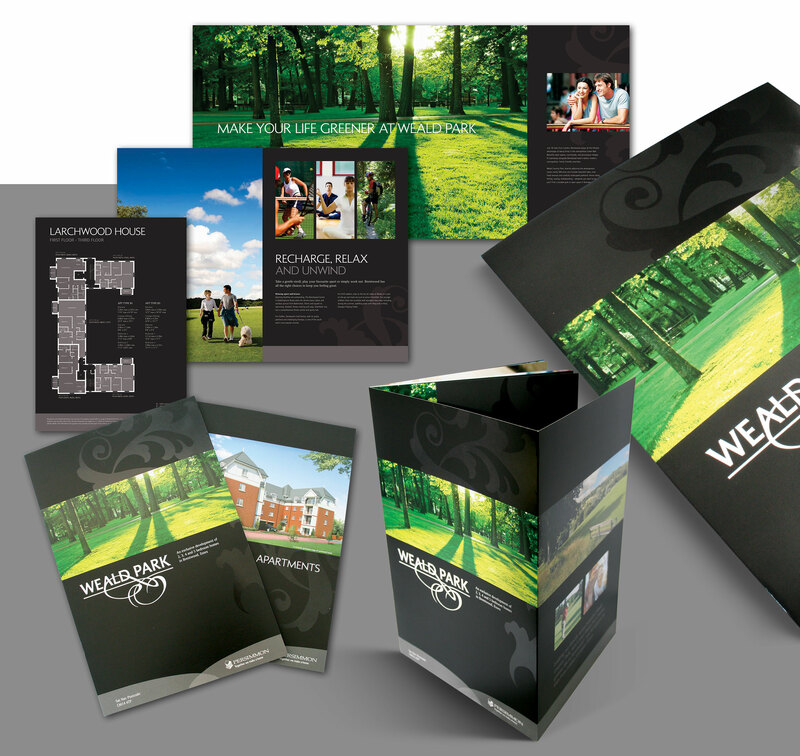 Our branding guidelines were implemented in 28 regions around the UK. We approached The Lines Group to produce this brochure, because we have had exceptional service from them on numerous jobs previously. The brief was to capture the grand location of Weald Park and this has been very well interpreted. Their research with Sales Directors across the country, not only delivered a solution which answers our needs - they also achieved buy-in from the team. Everyone follows the guidelines now and I am delighted.